Today, Wednesday, May 23, 2018, Mayor Marty Walsh, Police Commissioner William Evans, Boston Bruin Matt Grzelcyk and Delaware North CEO Charlie Jacobs stopped by the James F. Condon in South Boston to donate close to $80,000 worth of street hockey equipment to be shared and distributed to elementary schools throughout the city. 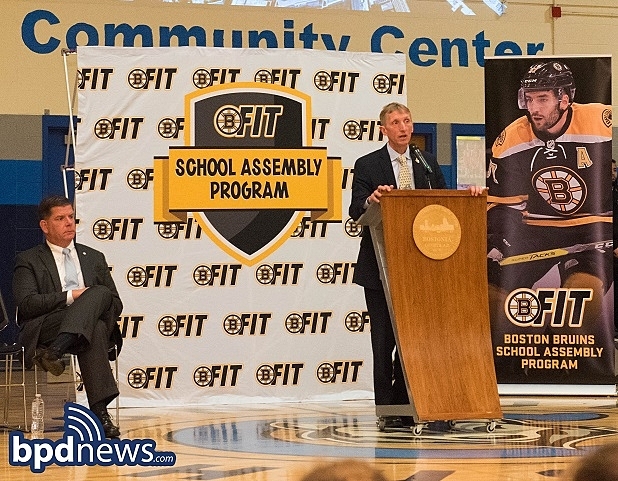 The donated equipment is part of a larger effort by the Boston Bruins B-Fit Program to support and stress the importance of physical fitness and nutrition for our city’s young people. 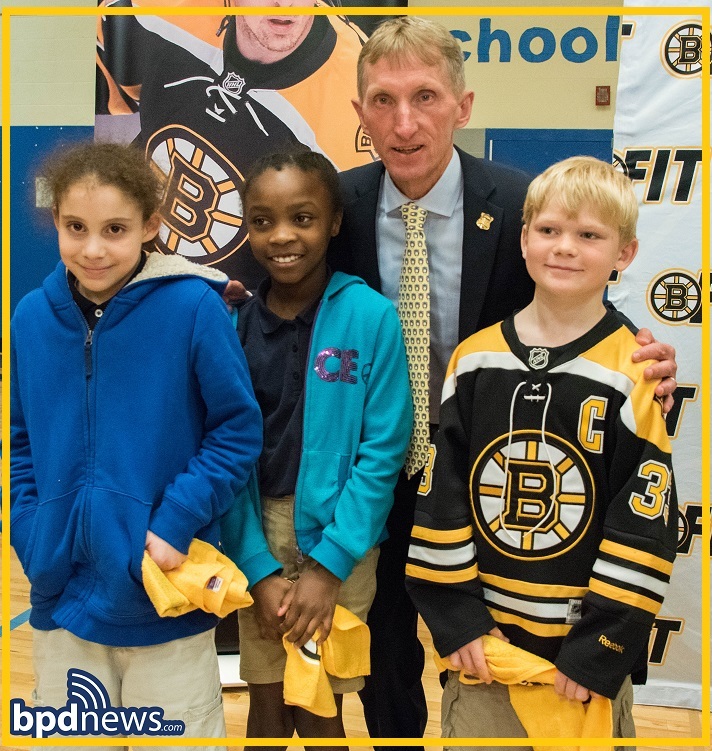 Said Mayor Marty Walsh, “We’re so grateful to the Bruins organization for their contribution to our schools’ physical education programs, which will help to build a foundation for students to have an active, healthy future.” Commissioner Evans, an avid marathoner whose run over 50 marathons, also took the time to talk to the kids about the need to stay in shape. 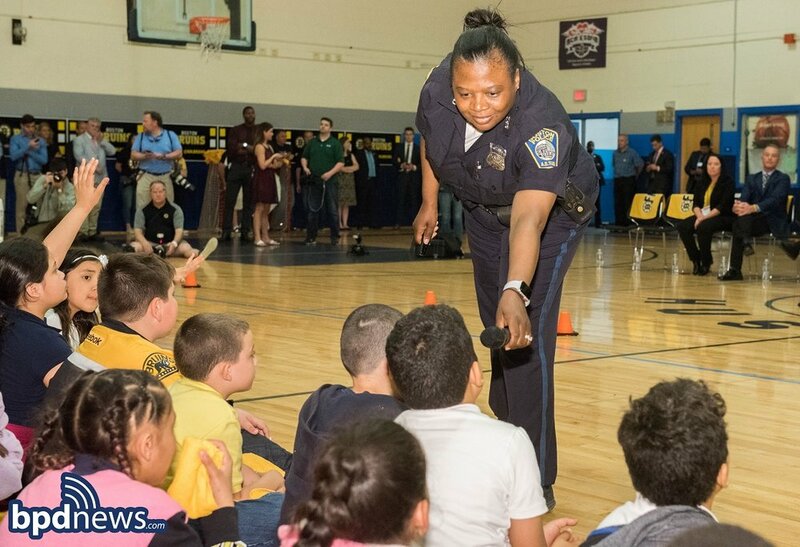 Said Commissioner Evans, “Whether you’re a Boston Police Officer or Boston Bruin, it’s no secret that staying in shape and eating healthy makes all the difference as it relates to you being the best you can be. For me, running marathons has kept me in shape and made me a better police officer. 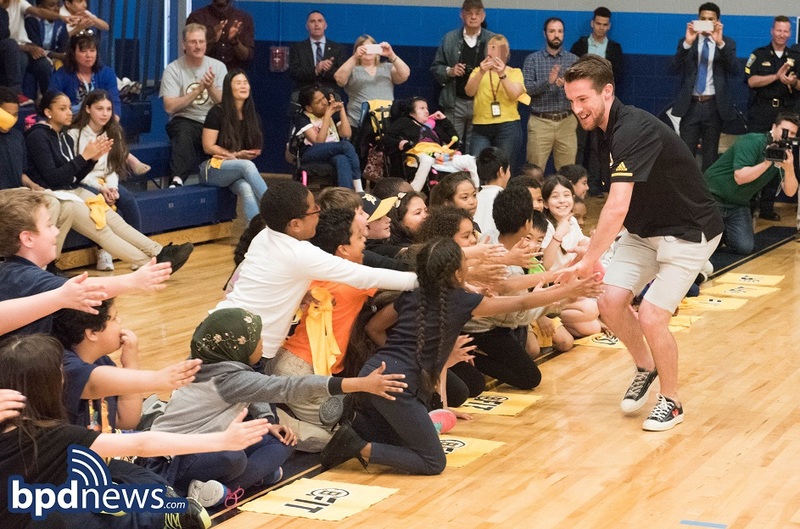 And, for you, staying in shape is going to keep you strong, keep you out of trouble and keep you in school.” Boston Bruin defenseman Matt Grzelcyk, a Charlestown native, offered the following, “I grew up in Charlestown, so it personally means a lot to be part of this event. 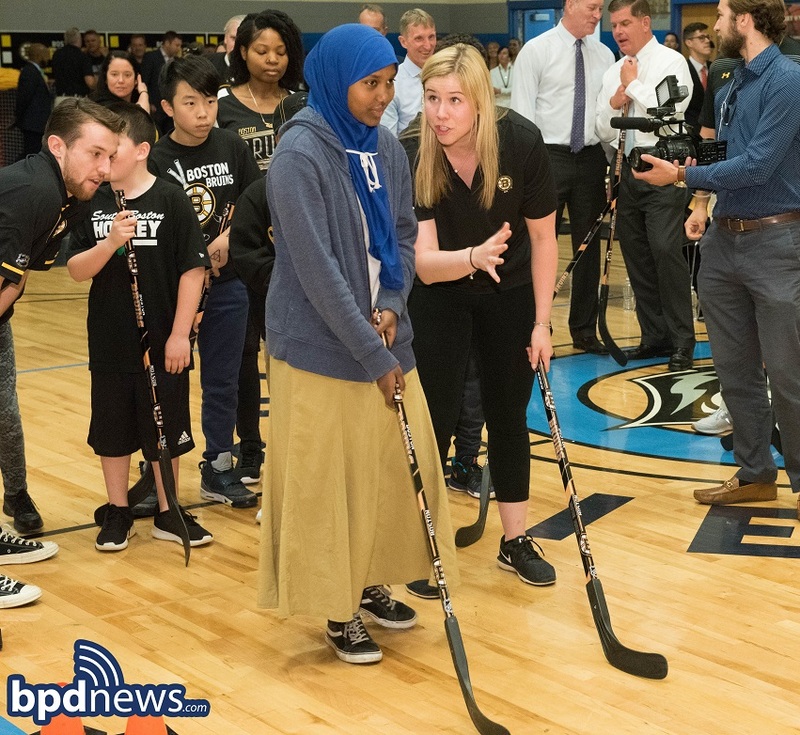 The Bruins donating this equipment to the kids of the City of Boston is such a great way for our organization to give back to the community.” Since 2016, the Boston Bruins B-Fit School Assembly Program has donated over 100,000 street hockey sticks to schools and community centers around New England.